"Why not try this citrus cake on a very hot summer day?" Preheat oven to 325 degrees F (165 degrees C). Grease and flour one 9 inch round pan. Separate the eggs while cold, then bring to room temperature. Beat egg yolks, sugar and grated orange rind until light and fluffy. Mix flour and baking powder together. Alternately add flour mixture and orange juice to the egg yolk mixture. In a separate large CLEAN bowl, with a CLEAN whisk or beaters, beat egg whites to stiff peaks, and fold into batter. Pour batter into prepared pan and bake at 325 degrees F (165 degrees C) for 50 to 60 minutes. 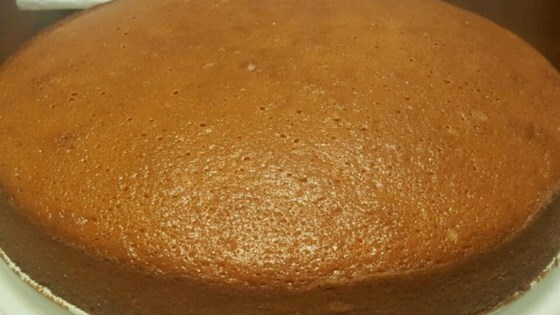 This is a very easy cake to cook. Quite large. Beautiful cake to eat. I use an orange icing which consists of icing sugar, orange juice and orange zest. They go really well together.